River City Meat Company, Inc. 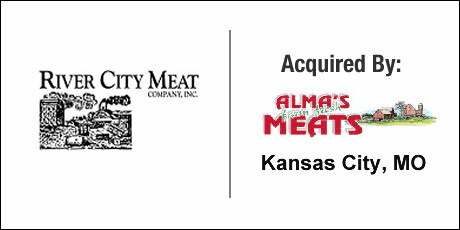 The Buyer: River City Meat Company, Inc. was a family-owned meat wholesaler specializing in the processing and sale of high-end animal proteins with a focus on the white-linen restaurant market. The Seller: Alma’s Farm Fresh Meats is a co-op meat processor, smokehouse and regional dry aging facility for animal protein products. Alma’s sells to both the retail and wholesale markets. The Close: The partners who owned River City Meat had reached retirement age, but were unsure how to source a buyer for their company. The sale of their business was complicated by the small margin, capital intensive nature of their industry. DVS found the Sellers a Strategic buyer for their company that was familiar with the industry and appreciated the value of their business. The deal closed confidentially on mutually beneficial terms.